VISTA, Calif., Nov. 4, 2013 — Have you ever had a bad feeling there is a security risk at your home while away? Instead of panicking or waking up the neighbor, now you can simply check your smartphone. Viper, the 30-year leader in car security, today launched Viper Home, an affordable, self-installed home security monitoring system that is completely controlled from a smartphone. 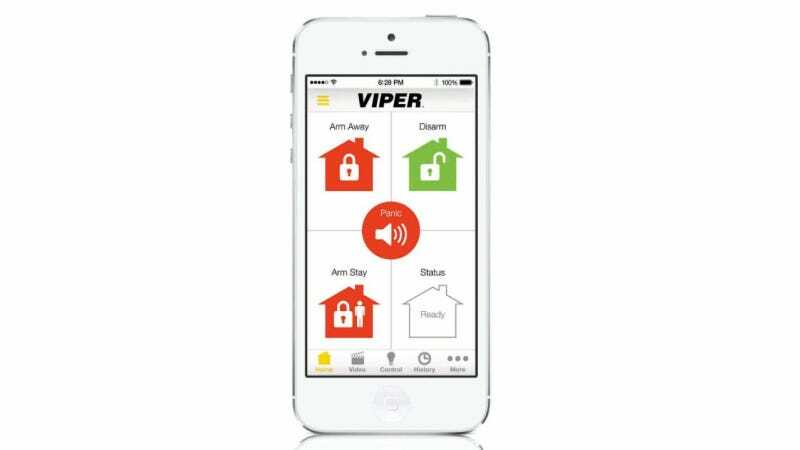 Viper Home will be integrated with the Viper SmartStart car security app through the new ViperConnect app, creating the world's first all-in-one home and car security monitoring solution for the smartphone. ViperConnect is currently available in iTunes and Google Play, allowing consumers to explore the app before they purchase the Viper Home system. Available exclusively through Best Buy stores in the U.S., Viper Home is an affordable home security monitoring solution that takes less than 15 minutes to install (no tools required). Consumers simply purchase the Viper Home Starter Kit ($229.99 USD), which includes a central hub, indoor motion detector and a magnetic door/window sensor. Connect the central hub to an Internet router and the system is ready to control and monitor from a smartphone. Viper Home is a true home security solution in its simplest form – self-installed and self-monitored with no expensive fees. "Viper Home was created to give people a technologically advanced, yet self-installed and low-cost solution to home security that they can personally monitor through their smartphones with sensors and real-time video," said James Turner, VP of Product Development at Viper. "We believe our proprietary technology will show that traditional home security firms with expensive monthly fees are a thing of the past." For a low monthly fee of $9.99 per month USD, ViperWatch streaming video notifications can be enabled to add the Indoor Camera and Motion Detector, which detects and verifies any security event in a home environment, sends full color video to the assigned smartphone and allows for real-time responses.